planetf1.com • View topic - The future of F1. Post subject: The future of F1. So just watched my first FE race and have to say I was so impressed by what I saw I had to think where does F1 go looking forward to remain the pinnacle of motor sport over the nest 15-20 yrs? * Fan boost reduces the race in part to a popularity contest and for me really detracts from the integrity of the race. * With the current rate of battery evolution I can see car speeds being comparable with F1 speeds well within the next decade or 2. * Battery life should also evolve within the next decade to allow the cars to race for 2 hrs if that's the way they want to take the category. * Seems to be a distinct lack of political BS in this category due to, from what I can see anyway, the teams being actual participants in the sport and not being in a position where they can actually govern the direction of the sport. * Races easily available, & free, to watch via live streaming on you tube. Taking the race to the masses. * Privateer teams, for almost it's entire history the lifeblood of the sport, now almost reduced to serf status tied to the whims of the "Tier 1" teams with very little or no chance of working their way up to even a podium let alone a win or championship. So taking into account the all of the above, and the basic fact that manufacturers are looking away from using fossil fuels to power their cars and more towards the use of renewable technology, which FE seems to hold a mortgage on the electrical side of, where does it leave the long term future of F1? Did LM buy a sport that's in terminal decline ? Is there anything F1 can do to maintain it's position at the apex of the motorsport tree or, as I now feel after watching the FE race, is it only a matter of time until that category usurps the king and takes the throne? Post subject: Re: The future of F1. In my opinion from yesterday's race. The sport is 5 years old. And they still can't nail down the world feed I understand there is technical difficulties from time too time but there was a lack of announcements communicated apart from jevs spike penalty. And even then. I don't think there was a graphic. Graphics. Why do we need too have the massive full course caution painted onto the graphics when it came. The format was changed on a whim. Qualifying was not the usual qualifying. Not explained properly. And when dillman from what I can make out found a loophole in the regulations. Sent too the back of the grid. There was some positives. We didn't have a lights failure this year. Which last year led too the race just sitting there for 3 minutes until someone decided too get a flag and deploy the safety car too start the race. it would probably mean moving away from street circuits and onto purpose-built tracks but that could potentially solve the issue of how long a charge would hold. Eventually F1 will have to become all-electric anyway and I don't see Formula E being relevant at that point. I don't think that the comparison to Formula E is entirely fair because of the relative scales of popularity of the two. Many of F1's problems stem from the fact that it is popular, highly commercialised and generates enormous sums of cash; indeed I would propose that all 5 problems listed in the OP are a result of this, or a knock-on effect of the expense of participation. Lots of potential revenue (and brand exposure) means lots of money is spent in the aim of achieving it and lots of big corporate interests at stake. If winning Formula E was as financially lucrative as F1 then I'm sure that many of the same problems would arise. FE is a small investment so the manufacturers are more comfortable with sticking an entry in and seeing what happens; F1 on the other hand has to form the core of their marketing/branding strategy and so they are going to work harder to ensure that it works in their favour. I admit that I don't watch Formula E, I gave it a chance when it was launched but was unimpressed. It felt closer to a kart race than to a real alternative to F1 and I don't think battery technology is going to be the future for all the world's transportation solutions because of the inherent problems with charge time. If I want to watch a racing series that uses a standard chassis to ensure close competition and with plenty of overtaking and wheel-to-wheel action then F2 is far, far better than FE. I think if a way could be found to cut the costs of competing most of F1 existential problems could be solved. If you could compete on a $75 mill budget there would be a lot of manufacturers queuing up at the door as well as private teams able to compete. You mention sound. I wish they would stop 'adding sound' as it is so annoying. 'Woof' when a car passes a camera is the worst of all, and speaking of which, the camera work and direction is dire. Back to the race, I enjoyed it except for channel hunting, which I thought was gone this year. There is a simple answer here: to standardise the cars. To many people it is intrinsic to F1's DNA that the teams all design and manufacture their own cars and the mere suggestion of F1 going down the spec car route is sacrilege, but I think the question has to be asked. Most people, particularly the more casual fans, have little to no interest in the engineering competition going on behind the scenes and mostly just want good racing. I have been wondering for the past couple of years whether F1 would be improved by this change of ethos and am becoming increasing convinced of it, ultimately it feels that having 10 teams all show up with their own car they built themselves and then expecting a close competition is a flawed assumption. So long as the teams remain responsible for engineering the cars, we will always maintain the situation where spending more money on development is rewarded with improved lap times, so they will continue to spend every available penny (and more) in pursuit of performance and so budgets will always be stretched to their absolute limit. I just assumed everyone knew, and was of the opinion, that F-e is a proving ground for future F1 tech. F1 will eventually morph into F-e once the tech is right, bringing along the the F1 spectacle and circus. I watched the Ad Diriyah race this morning. I thought it was fairly enjoyable. There was some good racing but some drawbacks. Came away with some ideas. 1. They do need to keep working on extending the battery life and the race distance with the ability to race on longer tracks with significant elevation change. 2. The Ad Diriyah track is way too much of a concrete canyon. The track looks way too cramped and one almost gets claustrophobic watching the racing. 3. Would like to hear the feasibility of batteries that could be changed under pit stop conditions. 4. Trash the "Fan Boost". This is supposed to be racing not a popularity contest. 5. It's good to hear Bob Varsha and Dario Franchitti again. They are two of the best broadcasters out there IMHO. 6. I am hoping that there will eventually be a bit more room for chassis and bodywork innovation. All of the cars looking exactly the same except for graphics doesn't work too well for me. This does not mean I want the aerodynamic mess that currently occupies Formula 1. 7. Attack Mode suffers from the same problem that Indycar Push to pass does. It is an artificial addition that can only be used for a limited time and a gimmick. The Drag Reduction System of Formula 1 at least can be used every lap except for the first two laps and the first two laps after a safety car. Congratulations to Antonio Da Costa on the race win. I suspect I will be watching more of the races for this season. I can see F1 and FE merging in the future. Maybe once FE get their batteries at a point where they can go full race distance, or at least half and can do a battery change in the pits. Once that happens, this merged series will have the FE cars and tech, with F1s history and prestige. It's got a long, long, long way to go to replicate F1. I don’t think it’ll ever replicate F1, which is why I think they’ll eventually merge, with FE being absolved into F1. I think both series has something the other needs, and this merged series will have the prestige of F1, with the tech and manufacturer appeal of FE. The record books will show 10-15 years where there’s 2x champions. Everything outside of that will be F1. Two champions starting from the FE beginning? What's the power plant going to be? Yeah, just to recognise the FE history when they were a standalone series. I liken it to the ARL/Superleague split, or WWE/WCW with their record keeping. Power plant - I guess it depends on what they come up with, and how the tech advances. I don't know anything about those sports, I would be guess each branch would be seen as being at a similar level? That being the case FE is not seen as being at a similar level to F1 so I don't see the likes of Hamilton and Vergne being seen as joint champions. As you don't have a vision of the future power plant then I can't give a direct view, as I understand it FE only has the FIA rights to being the premier electric powered car series. In the case of WWE/WCW, the WWE recognises the history of WCW champions, despite them being absolved into WWE. Using their example, you would have the same structure l as Superleague, with the added aspect of Vergne being able to call himself a former champion as well. So I’m my world, if the merge happens, and you scroll back through the history books, you would just see (For example) 2017 FE Champion - Vergne, 2017 F1 Champion - Hamilton. In terms of power plants, my thought is still in early stages, but I would say it’s all electric, with manufacturers having more control over the build of their power plants than they currently do. F1 will then become the premier electric powered car series, having taken over the tech aspect of FE. This means Jaguar, Nissan, BMW, Audi, and Porsche would be in F1, along with Ferrari, Mercedes and Renault. What would make this merged competition interesting is that Mercedes, Renault, Mclaren and Williams will all have some sort of an advantage, having already competed in FE. I guess it's just hard for me to imagine a future were F1 goes full electric racing, FE has the FIA rights to electric racing to protect themselves from F1, if they merge and then it's called F1 how would that be protecting the owners of FE? For me the future is confused, if the future is electric then leaves me a bit unimpressed given the limitations of electric cars, they lack power and endurance plus the lack of sound, if the future is electric then does F1 survive, if FE replaces it then I can only see it as a pale shadow of F1 with no mystique. I guess if we are just left with FE then they can call the history of champions but will that ever have the same popularity? ]I guess it's just hard for me to imagine a future were F1 goes full electric racing, FE has the FIA rights to electric racing to protect themselves from F1, if they merge and then it's called F1 how would that be protecting the owners of FE? Yeah fair call, for my future to come into place, there’s a few dominos that need to fall first. With FE having the FIA rights to electric racing, well that could be negotiated in this merger. I’m sure Liberty and the FE owners could negotiate an agreement where both parties are members of the new merged F1 board, and the FIA rights could roll into the new series. F1 is a sport that has a limited future. Currently it is trying to carry on traditions from a long time ago. That can have value, but I think they have to be selective about what they try to hang on to. Hanging onto circuits and the glamour of F1 helps. In the past F1 was about building faster cars. Now they can build cars so fast that the drivers couldn't drive them and the circuits wouldn't be able to cope with the cars either. It needs to change the emphasis on engineering to be something different. Making more of the drivers and teams would help F1. They need a governing body that writes rules it can enforce, can write rules that fix the current problems and steers F1 to cope with the long term future, where fossil fuels will probably not be part of F1. They can alter the rules to make the racing better - they are supposedly doing that, but without much success over the last 10 years. They also have to decide if it is going to emphasise being politically correct, or a stand alone sport/entertainment package. Running fuel saving races is not a good fit with the original purpose of F1. Efficiency is a part of F1 and can continue to be, but it doesn't need to be tied to solving the world's fossil fuel problem. The purpose of the FIA should be to control F1 as a sport that is fair, competitive, entertaining and sustainable. Until the day there is a cell phone on the market with a battery that doesn’t need to be charged every single day I won’t believe that f1 is anywhere close to being fully electric. Battery evolution has been going too slowly. The current f1 cars aren’t the best sounding but they are not annoying to the ear. I find fe cars’ sound assaulting to my ear drums. Just like a dentist drill would. The more power they get I assume the more annoying they will sound. People will be back to having to wear ear plugs as soon as that happens. Yeah that's what I feel about the technology when you relate it to F1 it just has to many limitations which relate to power, endurance and sound. When you look at the road cars the biggest issues are charging intervals and how long it takes to recharge. 300 miles between charges is said to be good but even to get to that figure you can't be driving much above 60 mph and need to be avoiding roads with steep gradients, when it comes to charging the car when making a long journey then you may consider going for something to eat or doing some shopping whilst the car is charging which makes your journey much longer. This also relates to the racing were a race can only last 45 mins and they have to race on special tracks which limits the top speed of the cars and the tracks have to be flat, woe be told if they ever endeavoured to do a race at Spa. Someone mentioned making pitstops were they change the batteries but clearly that would take far too long and that's why they chose to change cars instead, on a F1 track you would be looking at multiple car changes. Then there's the power and sound, the cars will never have close to the same power and even if they did they would only manage a few laps, as for the sound will people travel vast distances for the spectacle, the sound creates the atmosphere of the race, even the hybrids get some criticism for lack of sound. Going forward for F1 if there is no alternative to electric then I can't see it being nearly as big as it is now, in fact I can't see there being a F1 just FE. Just a couple of examples of how, once the basic framework of a certain technology has been understood, then given the appropriate resources & motivation, advancement in that technology can be amazingly rapid. How many of us would've thought in the year 2000 that in just 18 years there'd be a full electric production car with 700 hp, a top speed governed to 250 km/hr, that goes 0-100 km/h in just 2.6 sec, beats a Lambo over 1/4 mile & has a range of 539 km? 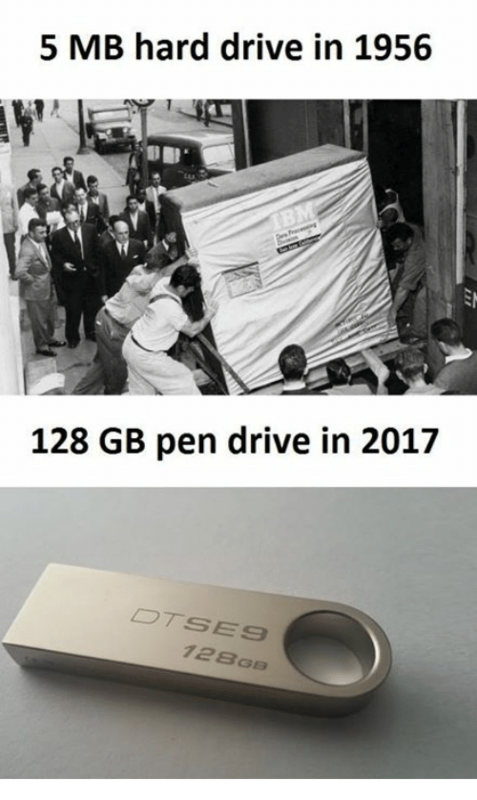 Yet we now have the Tesla Model S P100D. I'd not be surprised to see battery technology advance to the point in the next decade or 2 that'll see these cars racing at Spa either over a full GP distance on one battery or have the ability to do a battery change during a pit stop in a few seconds not that much slower than F1 cars. The lack of sounds a huge problem & I don't know how they fix that other than maybe to hope the other aspects of the formula compensate for that. As for the future of F1, looking at the amount of manufacturers interested in FE & the apparent lack of an alternative renewable energy, i'd wager F1's long term future is very hazy. Like it or not, it won't be one in the long run. Eventually we'll just have a few generations of older people griping about the sound, and the fans of the new series won't care. Then there will only be people who aren't bothered by it. isn't volvo aiming for 50% electric vehicles in 2025 and all vehicles to be electric or hybrid by 2030 ? doesn't matter if we want em or like em, that seems to be what we will have. the manual transmission has pretty much went the way of the dodo bird, and oddly enough to an old timer like me, many of the younger generation aren't all that interested in even getting a drivers license. Like I've said you harness that kind of power and the car last for about 10 minutes before needing a recharge, my understanding is there are certain limitations with battery power that's not going to change overnight. In regards to early flying machines to space rockets that's 2 different technologies as opposed to being limited to just the one technology. We seem to be assuming that's this new generation will replace the old generation in the same amount of numbers? Yeah my 25 year old nephew has no interest in getting a driver's license. If they really want to be something else and "lead the way" again, they should go for hydrogen, which is the real future. Instead of electricty that is considered as the solution of today's problem, but creates the ones of tomorrow. Be sure they won't do it. By the way, I totally share the point of view of the previous posters. My 27 year old son, who watched races with me when a kid and young teenager, has a driving license but doesn't use it (and doesn't need to), and wouldn't watch another race. And I wouldn't bet that his very few friend interested in cars ever watched a race. My kids couldn't wait to get their licences. Their problem is keeping the bloody things. I am sorry, but if the organizing body doesn't take action to transform it into a more competitive field, and gives precedence to driver's ability over engine design, I can see it disappearing, or becoming a -more- marginal sport than it currently is. It doesn't matter what rate the new generation is produced at the older generation will die out and the younger group will make up a larger percentage of the overall population. What will matter is what percentage of the new generation can be convinced to be motorsport fans. Even if the old to young percentage evened out the Gen X and Millennial generations are the ones moving into their prime money making years which is who advertisers are after. While old farts like me are rapidly approaching our fixed income years which is less appealing to advertisers. I was having thoughts on hydrogen myself, that could be a way forward for F1, I just see no future for F1 with electric. Well that's what I was saying, are close to noiseless racing cars going to illicit the same support as what we have now, the cars are kind of soulless, are they going to trigger the same level of passion for future fans? I disagree with the cars being either noiseless or soulless. I've followed different forms of racing my whole life, in my mid-fifties now, and while I understand the visceral feel when you're around a high performance engine going at full belt that's never been the end all, be all of the sport to me. With FE being more spec than F1 is the racing is a lot closer and more teams are in the mix at each event. There haven't been any repeat champions or dominant teams yet. The sound from the drivetrain is different and not nearly as loud nor will it rattle your ribs when revved up a few feet away. But you can hear the tires complain when cornered hard which adds an element that I like. I want to see maximum performance being achieved from the specs that exist in any given series. With F1 for years that meant making more powerful engines, when aero came along they kept improving the engines but most gains were being made on the chassis side of the car. To some that was the death knell of the series, yet here we are today. Aero is still very important and engines are still being developed but now efficiency is being stressed. Yes the sound of the engines changes but most of the time most of the sports fans aren't at the track so that feeling in your chest isn't present when you're watching. Aero is pretty much fixed in FE but there's plenty to play with in the drivetrain and that's what is driving the interest from manufactures'. Along with a much lower cost operating cost than an F1 or WEC tame. My son is 30 and likes F1 and loves GT racing but is also excited about FE. He doesn't complain about the sound and enjoys the racing for what it is. So only reason I could see the younger generation not adopting or adapting to FE is just lack of general interest in racing. Personally this is where I think FE is doing the right thing by racing on city circuits. Despite the complaints from F1 fans about them not running on "proper circuits" being accessible to the younger audience who, as mentioned earlier in this thread, don't drive as much as us older folks they stand a better chance of gaining a following. Not having to worry about making the drive out to the circuit, parking, traffic after the race, or finding a hotel or campsite if you're making a weekend of it makes it much easier to check the whole thing out. Add to that, that you get the whole thing in a one day package which allows you to get other things done before you have to clock back in on Monday. They don't race on proper circuits because they can't race on proper circuits so what we see at present is cars racing on mickey mouse tracks because that's the height of their capabilities, these kinds of tracks simply wouldn't be acceptable for F1 cars. Great marketing or taking advantage of what the cars are about, they don't need massive tracks and don't make much noise so ideal for racing near city centres close to a a captive audience. Take the cars away from the cities to what we might call a proper race track then you see their limitations plus would people travel. Like you say noise doesn't necessarily matter when watching on a screen but for spectating I would say that it does when it comes to traveling to the events. Then from a global perspective how does it differentiate itself from being the pinnacle of the sport if every series goes electric like say the racing in the states, when F1 has racing with spec cars, with that in mind I'm wondering what happens to races like the Indy500? An advantage with FE is that it is even easier to get to sleep than with the current F1. Renewable fuel doesn't just mean electricity - it could be hydrogen - burn it and you get water. They would need fuel cells that would not result in an explosion or a fireball - but they have that currently. Batteries are not very environmentally friendly. Fully agree that hydrogen is better as a future technology, and with hydrogen potentially being added to the WEC there's a potential that both F1 and FE will be leapfrogged in terms of technology. But then, to be honest, WEC has been more of a legitimate hotbed of development technology then F1 for some years now.